Most lease contracts are typically in a scanned graphic format like PDF or XPS. Text appear as graphics and cannot be easily accessed or interpreted, so some conversion through specialized technology is required. The technology must be able to recognize the alphabet of any language requested and at high enough speeds as to make the process feasible when dealing with potentially hundreds or thousands of pages. At a minimum, this technology allows the text to be accessible so that anyone can search, copy, and paste what they need for abstracting purposes if they know the foreign language. Machine Translation (MT), like Google Translate, translates text by using a sophisticated combination of sentence-, phrase-, and word-swapping. The database the MT engine uses is enormous. The only time MT is worth using is when the standard for quality is so low that the reader only needs to recognize the general topic or idea of a paragraph or sentence. Searching for information is a perfect example of this level of utility. Machine translation technology can translate a lease agreement contract with just enough accuracy to inform someone of what it says in general. If, however, the information is important, machine translation is no longer enough, and a professional human translator must correct and validate the text to make the information reliable for interpretation. This process is an enhanced machine translation. 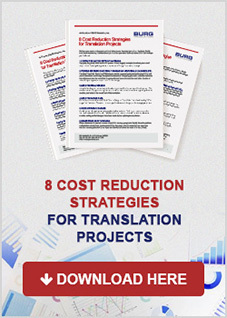 This methodology drastically reduces the cost of translations while still maintaining perfect human quality where it is needed. Translation memory (TM) is a technology that “memorizes” what a professional human translator translated in the past. If the same text appears elsewhere, like the same text in another lease agreement, the computer will input the same translation the professional human translator wrote the first time. TM is comparable to MT in that both will translate text the same way it translated it the first time, but TM is human quality and MT is robot quality. The database of TM is much smaller than for MT (Google’s database is supplied by the internet and is powered by an army of translators) but it is made up of the text that matters to the client and learns with each new document translated. As the ASC 842 deadline approaches, technology will be the key to success – even when handling the translations part of the process. Work with a professional translation company that has the experience and technology to cost-effectively translate lease agreement contacts for your next lease abstracting project. If you are working towards compliance of ASC 842, do not underestimate the problems that come with having foreign language lease agreements and consult a team that can lead you to a cost-effective solution that is easy to work with.